As a leader in the Los Angeles blockchain community, Heidi cofounded the Los Angeles Blockchain Lab — a collaboration of academia, government, enterprise, and community focused on developing the blockchain ecosystem in Southern California and abroad. Founding partners include City of Los Angeles, University of California Los Angeles, University of California Irvine, University of Southern California, Caltech, Panasonic and Lamborghini. In addition, Heidi is CEO of Proof Of Art – a social funding and publicity network providing business solutions for artists using blockchain; and Cofounder of HomeSidekick – a peer-to-peer mortgage-lending platform. She was a hand-selected participant for Richard Branson’s Blockchain Summit — where 40 global thought leaders address blockchain’s potential for social impact. Heidi is a frequent blockchain guest lecturer for leading academic institutions, executive retreats, government events and community programs. 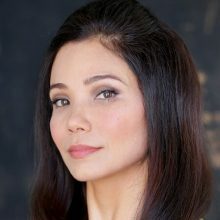 She is also an advisor for numerous startups including Spire (mobile crypto wallets for emerging markets), DApperNetwork (developing blockchain technical talent), and ArtBit (platform directly compensating individual artists). Prior to her blockchain activism, Heidi focused on turning around distressed assets, growing small businesses into top-tier national firms, and leading sales teams for companies including AIG.